The diversity of leprosy strains circulating in medieval Europe was much greater than previously thought, according to new research by an international team of scientists. The study, involving the Max Planck Institute for the Science of Human History, the University of Southampton, the University of Tübingen, the University of Zurich and EPFL Lausanne, shows that all known strains of leprosy were present in the continent in medieval times. Previous studies have suggested only two were present during this period. The research, published in the journal PLOS Pathogens, investigated the history and origin of the main leprosy-causing bacterium Mycobacterium leprae by looking for genetic evidence from a large number of ancient samples from throughout Europe. It examined a total of approximately 90 individuals with skeletal deformations characteristic of leprosy, dating from approximately 400 AD to 1400 AD. 10 new medieval M. leprae genomes were fully reconstructed. 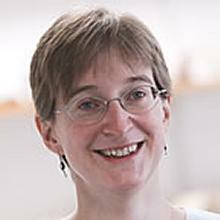 These include the oldest M. leprae genome to be sequenced – originating from an early Anglo-Saxon individual (approx. 415-545 AD) found in Great Chesterford in Essex and curated at the University of Southampton. The study also revealed that multiple strains were often found in the same cemetery – further illustrating the diversity circulating at the time. Leprosy is one of the oldest recorded and most stigmatised diseases in human history. The disease was prevalent in Europe until the 16th century and is still endemic in many countries, with over 200,000 new cases reported annually. 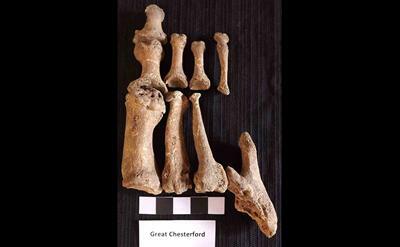 The Great Chesterford skeletal remains comes from one of the oldest known cases of leprosy in the United Kingdom and represents the oldest M. leprae genome sequenced to date. Interestingly, this strain is the same as that found in modern-day red squirrels and supports the hypothesis that squirrels and the squirrel fur trade were a factor in the spread of leprosy among humans in Europe during the medieval period. The abundance of ancient genomes in this current study has resulted in a new and older estimate for the age of M. leprae than previous studies, placing its age at least a few thousand years old.